Have you ever had that experience of working with a group of people where that “magic” occurs and everything just flows so evenly? Where all members know the exact niche they were meant to fill. These last months I have been blessed to be in just that situation. It began with 2 wonderful men, Eric and Max and of course Cohen the best furry friend one could ever ask for. 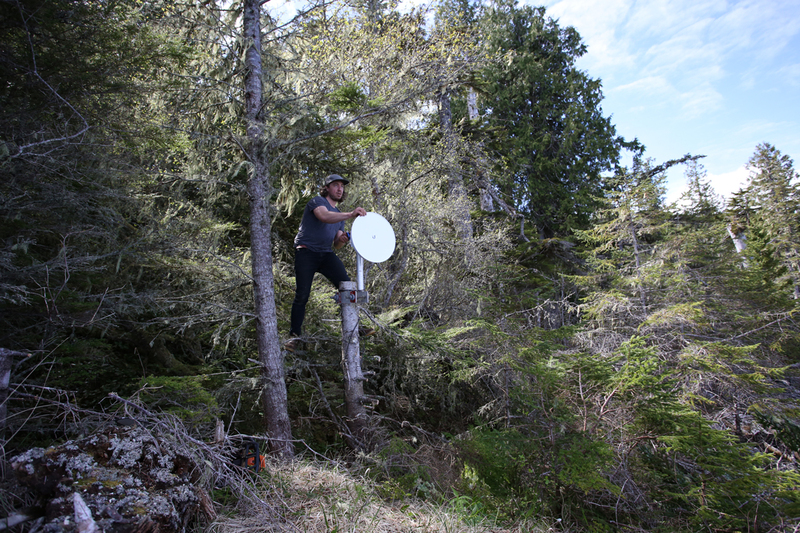 Our goal was to FINALLY get a hydrophone network up and working so we can listen in to the acoustic soundscapes of whales. 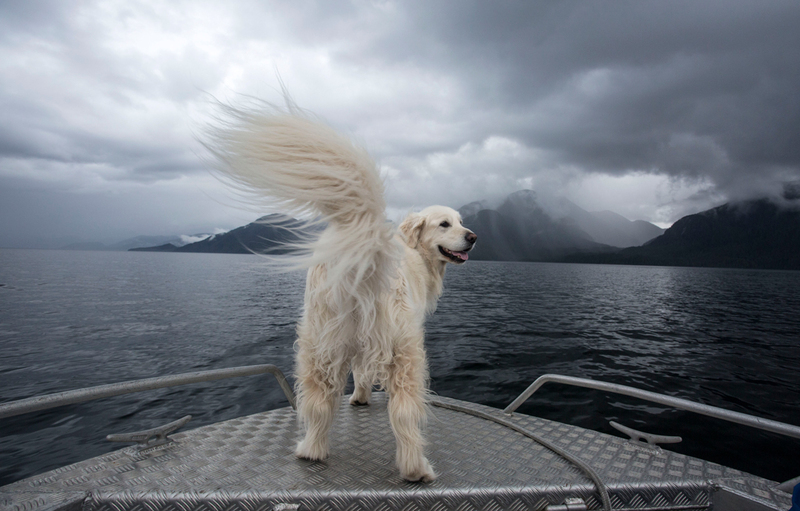 It was the beginning of May; the rain was falling so hard that on the day we were meant to travel by boat from Prince Rupert to the new Fin Island Marine Institute I almost postponed. Both Max and Eric left the decision on me, fortunately, I said ‘let’s just get it done’. To our amazement, after a 4-hour boat ride in the Elemiah, with everything now soaked right through the tarps, the sun came out, the wind settled and when we turned the corner into Squally Channel we were gifted with glassy calm waters and clouds parting in our path as we travelled the last few kilometres. We unloaded, dried off, and prepared for the next day of full-on work. Now I have to introduce you to the first 2 characters of this project, with more to come, but let’s begin with Eric. I first met Eric when he was a young student and in fact, he was one of the first interns we ever had. We have watched him make his way through university, tackle his own PhD and now he is back working with us on his Post Doc. Not only is this young man brilliant beyond all means, he is also kind, well humoured and giving in all the ways that really matter in life. 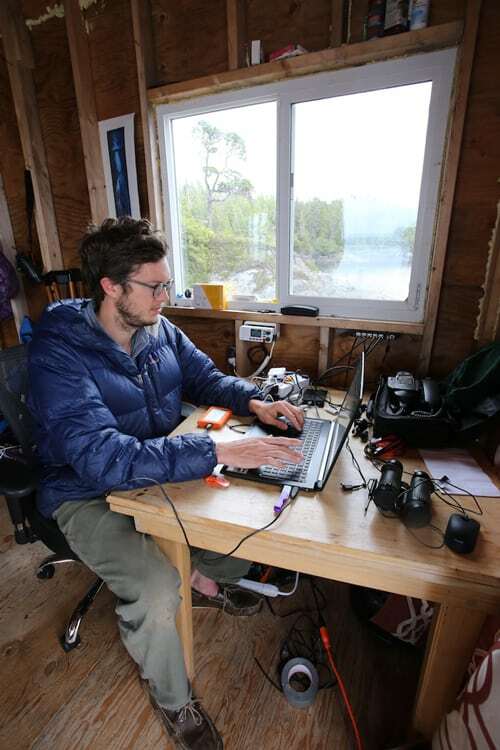 For his part in this project, he is developing the apps and methods necessary to help us determine, from land, the impact of marine vessel traffic on the daily lives of whales. Then there is Max – oh how to explain this young man! 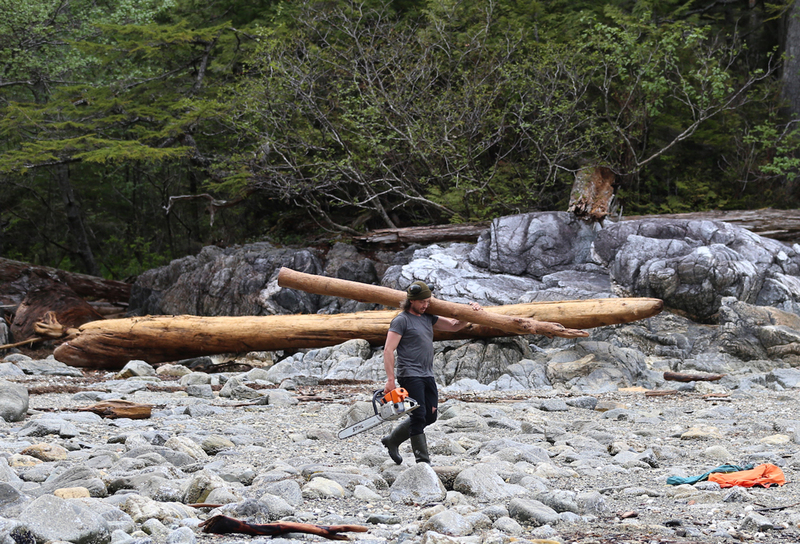 Here is a physical image, in one hand Max would carry the tools necessary to install the radio transmission system, and in the other hand, a chainsaw ready for salvaging driftwood to build the new deck or cut into firewood. Much to my delight, he was also talented when it came to setting up off the grid power systems with a set of solar panels and battery banks. His quirky smile, gentle nature and knowledge towards the practical side of remote living made working together in wild wind, rain and the cold most enjoyable. We had only 7 days to complete this leg of the project and ensure the radios and power systems were ready for the next team and hydrophone installation (that will be the next blog). At the end of each day – and they were long – we would have a warm dinner then each fall into a deep sleep after so many hours of climbing trees, clearing bush and boat travel in undesirable conditions. On the last day, we could finally relax as all 4 radios were sending a strong signal back to the Fin Island station. The following morning, I reluctantly took both Max and Eric back to Hartley Bay where they would catch the ferry to Rupert and then fly home. When I arrived back at the cabin an emptiness prevailed without the presence of these wonderful people, but also a sense of accomplishment and gratitude was embedded into my thoughts. As the sun set and the day was ending already I preparing for the arrival of “team number 2” and the next phase of trying to listen to whales within the Great Bear Region of Northern BC. Our goal is to protect this region for decades to come, a quiet underwater space for whales to live in peace as they once did centuries before large marine vessels arrived and changed the silent soundscapes of our great oceans.